Silverstone: Lewis Hamilton and Mercedes would be well advised to ignore all previous form and a pile of encouraging statistics as they bid to bounce back at their home British Grand Prix on Sunday. 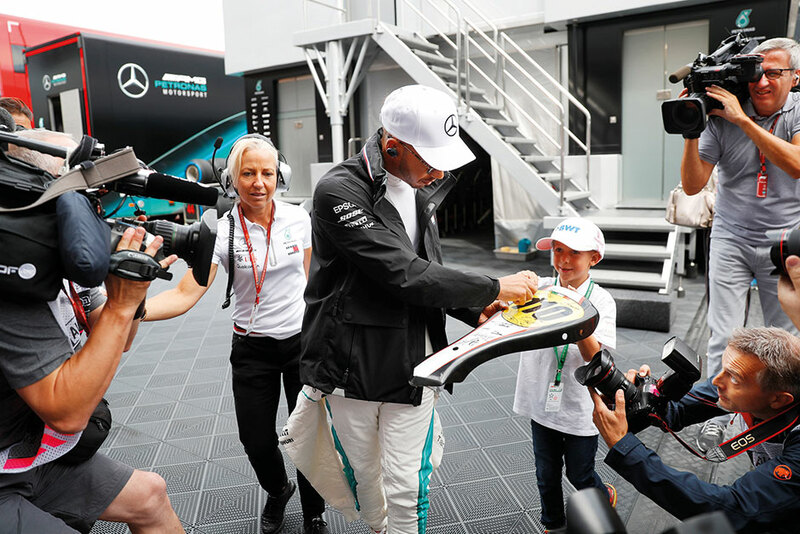 After the debacle of their double retirement at last weekend’s Austrian Grand Prix, where they were previously unbeaten in four years, and Hamilton’s travails in Canada, where he was a clear pre-race favourite, the Mercedes team has lost its near-metronomic consistency. Max Verstappen’s victory in Austria, his first this year, rewarded Red Bull’s opportunism, but his Milton Keynes-based team and Ferrari may face a struggle to match a resurgent Hamilton, reliability permitting, in front of his own fans. The German, who finished third in Spielberg, has a one-point advantage, following Hamilton’s first non-scoring finish in 34 races dating back to the 2016 Malaysian Grand Prix, but expects a difficult weekend on a circuit that should suit Mercedes. Much, however, will depend on the extent of the damage inflicted on the champions’ confidence after their worst result since re-entering F1 in 2010. “We tried to show the right character in defeat,” said team chief Toto Wolff. “We took full responsibility for our mistakes, which takes guts, and we will now analyse them and come back stronger from that learning. Both drivers were calm and showed true leadership. In the current British heatwave conditions, tyre wear could be a major factor again, in the outcome of Sunday’s race on a track that favours power and, as in Austria, this may upset all forecasts. “These tyres are pretty sensitive to heat and that could be a really interesting variable that’s thrown in,” said Red Bull boss Christian Horner. It may also create a few incidents and a possible deployment of the safety car, or a virtual version, in circumstances that require the kind of instant tactical decisions that, last weekend, undid Hamilton’s bid for victory in the early laps. “On paper, it looks difficult for us. Aerodynamics are very important and it will be difficult ... “ he said. Indeed, as the England football team seek a place in the World Cup semi-finals for the first time since 1990, it is worth recalling that in that summer of Italia ‘90 it was McLaren who ruled the F1 world by winning both the drivers’ — thanks to Ayrton Senna — and constructors’ titles.